Can Cinnamon Lower Blood Sugar? Cinnamon for diabetes – perhaps you’ve browsed over some info that suggests it’s beneficial for lowering blood sugar or to use for various other aspects of diabetes treatment – that’s what we’re here to explore. Cinnamon is one of the most well-known spices across the world. Famous for its sweet warming taste and rich aroma. 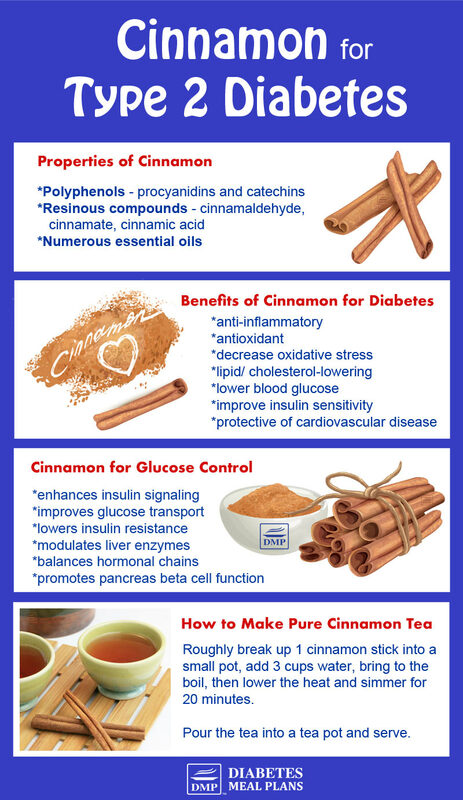 You’ll soon discover that not only does cinnamon add a zing of flavor to almost any hot beverage or meal, but it’s also ripe with several amazing health benefits – including specific benefits for type 2 diabetes and prediabetes. Cinnamon bark contains polyphenols called procyanidins and catechins, along with resinous compounds including cinnamaldehyde, cinnamate, cinnamic acid, and numerous essential oils. 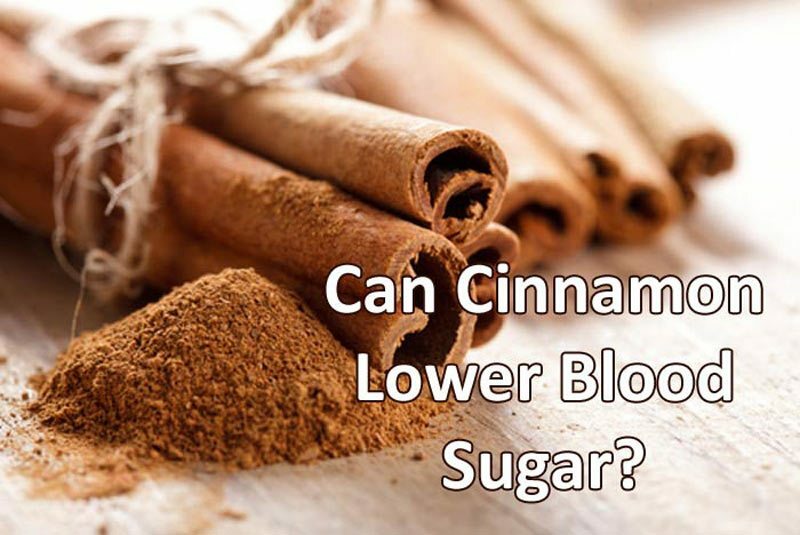 How Does Cinnamon Lower Blood Sugar? Polyphenols are a type of compound found in many plants and it’s the polyphenols found in cinnamon that have been proposed to help with diabetes in several ways. How Much Does Cinnamon Benefit Blood Sugar? One review found that out of several clinical trials using cinnamon powder/ supplementation in type 2 diabetic patients, the benefits ranged from 18-29% decreases in fasting blood sugar levels. It is important to note that we do need more clinical trials, which is often the case for most therapeutic agents. Still, the results do show promise that cinnamon may be a great agent for helping with blood sugar control, which is why researchers continue to explore the potential of cinnamon for diabetes management. For instance, a study from 2017, involving 44 type 2 diabetics, found that cinnamon supplement 3g/day for 8 weeks reduced fasting blood glucose levels by 11.65 mg/d (0.6 mmol/l) while those not taking the cinnamon saw a rise in blood glucose of 8.57 mg/dL (0.5 mmol/l). The cinnamon group also had decreased scores on a test called the Homeostasis Model Assessment for Insulin Resistance, while the control group saw a rise in these scores. The reduction in points indicates that the cinnamon group may have acquired better insulin sensitivity over the 8 weeks of supplementation. The group taking cinnamon also experienced an increase in their total antioxidant capacity. The point here is: Any improvement in glucose control can help reduce your risk of diabetes complications. When people with prediabetes were given 500 mg of cinnamon over 12 weeks, their fasting blood glucose reduced from 114 mg/dl to 104 mg/dL, without making any other changes. These changes became more apparent the longer people supplemented with cinnamon. Another study gave prediabetic people 6g/day of cinnamon (6 capsules day) for 16 weeks and found improvements in waist circumference, waist-hip ratio, blood pressure, total cholesterol, LDL, triglycerides, and HDL, along with decreased fasting glucose and A1c levels. Overall the researchers concluded that the group taking cinnamon had a 34.5% reduction in metabolic syndrome compared to just 5.2% in the other group. Please pin, tweet or share; then keep reading! Reducing cholesterol/ lipid levels is another proposed benefit of cinnamon. And indeed, research indicates cinnamon supplementation 3 g/day for 8 weeks helps lower triglycerides and LDL cholesterol, with no major influence on HDL cholesterol. Another review confirmed that supplementing with cinnamon for 4 to 12 weeks may help lower total cholesterol, triglycerides, and LDL. And even help improve HDL. Since diabetes increases your risk of heart disease, any natural substance that can help is worth including in your routine, especially since cinnamon can even be included in your everyday eating routine, too. Cinnamon has also been shown to tackle high blood pressure, another heart disease risk factor. The research shows that doses ranging from 1- 6 g all had a beneficial effect on fasting blood glucose and a1c. However, unless working with a health practitioner a safer daily intake of 1 g to 1.5 g per day is recommended. The best rule of thumb in most instances is to follow the instructions on the label of any supplement you buy, as the manufacturers usually list their individual safe dosage range. Studies suggest cinnamon is safe and has no adverse side effects when taken within the dosage range of 500 mg to 6 g per day. The occasional person has reported rash, hives, and nausea, which can be a side effect of almost any food or therapeutic agent. Of course if these happen to you, then cinnamon may not be right for you. 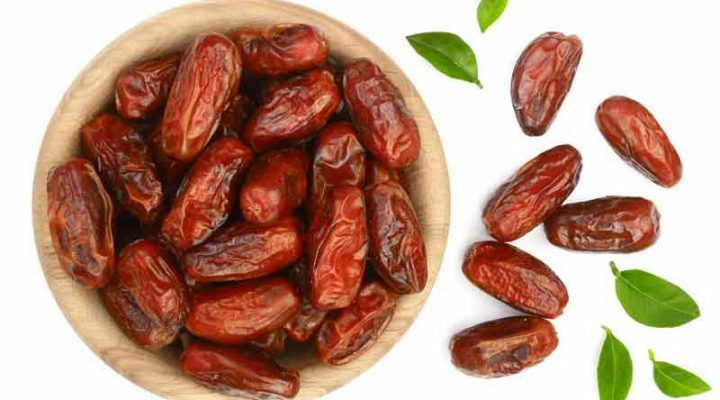 Additionally you need to be aware that cinnamon is a blood sugar lowering agent, therefore, if hypoglycemia (low blood sugar) could be a problem for you, be aware of the symptoms and treatment procedures. There are no reported side effects with medications. The two different types of cinnamon, Ceylon cinnamon (sourced from Sri Lanka) and Cassia cinnamon (from China), have similar health benefits. Unfortunately, most studies don’t specify what type of cinnamon they use. However, some evidence suggests Cassia may lead to liver problems when taken in large amounts, so for safety reasons, Ceylon cinnamon supplements do seem to be the best choice. Consuming cinnamon as a ground powder or using cinnamon sticks are both useful ways you can incorporate cinnamon on a daily basis. While we always need more studies to determine the true therapeutic effects of cinnamon for diabetes, research so far does indicate some impressive results, one of them being lower morning/ fasting blood sugar levels – a common concern for many people with type 2 diabetes. With all the benefits of cinnamon, you've certainly got nothing to lose by trying it to see if it works for you. Please share this info around to help others. Sprinkle cinnamon on your coffee before you brew it. Delicious! Wendy mentioned White Tea ….what is it … I looked all over for it .where do I buy it ????? White tea is a specialty-type tea from China – it’s basically the very young, tender leaf tips of the tea plant. You won’t find it at regular stores, but can purchase it online via Amazon, or at specialty tea shops. I am not endorsing any product but I’ve had good luck with Springfield pasta products no effecting my blood sugar levels. I eat a moderate single portion with homemade tomato sauce (just fresh plum tomatoes and some herbs thrown in at end of reduction) . Any take on this? Another thing one can do for better control is drinking WHITE TEA. It has been an excellent resource foe me. Drink one cup of warm white tea with each meal. You can add Ceylon Cinnamon to the white tea. But the tea alone works wonders. For me it keeps my b/s on an even keel. I test immediately before a meal and exactly 2 hours after I eat. The numbers will be within 2-3 numbers of the pre meal test number. Cinnamon can help somewhat Shelby, but generally it’s your whole diet that needs to be looked at, along with exercise, sleep, stress and lifestyle. 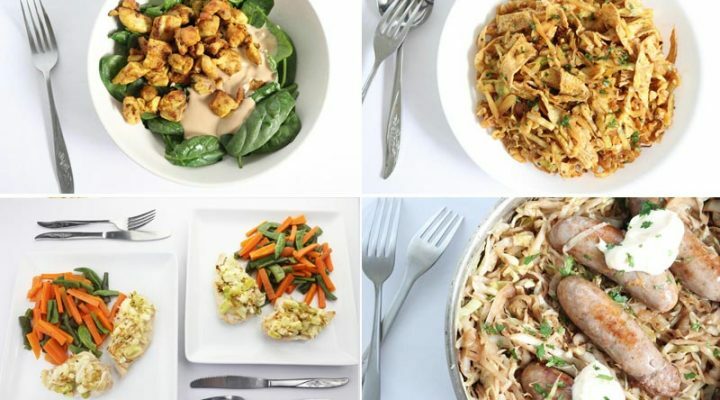 A good place to start is to evaluate your carb intake and work on lowering it, that’s what helps overall numbers. 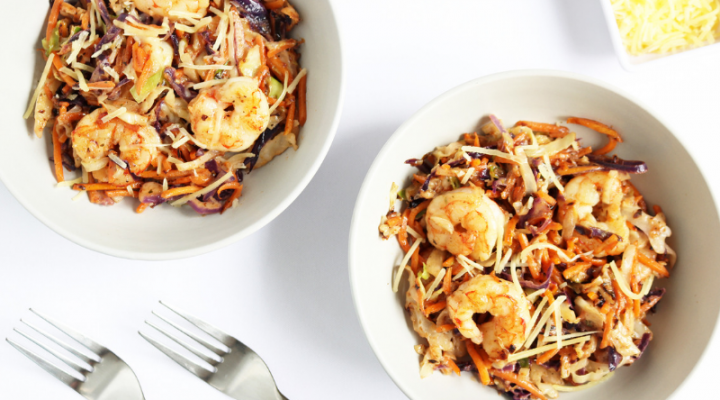 Because carbohydrates are the main nutrient that affects blood sugar levels. I’m taking 1 capsule daily of Cinnamon Force by New Chapter that my local health food store said works very well. Is this a good one? Not sure of the brand Sharon but should be just fine. Stress and sleep can both influence blood glucose. I’m sure once you start keeping a daily log that will help, you’ll start to see patterns that you can change/alter. I started drinking the warm cinnamon water in the evenings as of Friday. Last night i checked my sugar read 169 (2hrs after eating) i immediately drank my cinnamon tea which is about the same time i been drinking it. Well an hr 1/2 later i checked it again, indeed it lowered my sugar down 127. I went to bed, woke up this morning and checked my sugar again and it read 149!!. I was shocked to see this reading. Would you know what could have caused this spike? I would have thought it would stay the same or lower a bit more after the tea. Interesting Jay. Could it have been something you ate during the day? What’s your morning readings like normally? Also you might try having the tea regularly throughout the day and see if that were to make a difference. My husband thinks it has to be the food I ate around close to 6. Normally I would say it would run b/w 110-115. If its higher is because of the food I ate the night before (if heavy or later than normal). Do you think I should drink the tea when I wake up and before bed for sometime? Yes, if you ate heavier foods, higher carb foods or later than normal these could potentially all influence morning levels. Also consider stress, sleep and other factors too. If it’s just a one off, try to identify the issue but I wouldn’t be overly concerned if it is only a one off. There is no specific time you should drink the tea, it is something you can have on a regular basis. Greetings! I have been doing research in regards to Cinnamon. I have read there are 2 different Cassia and Ceylon. I read too much Cassia is bad for you, leads to liver and kidney problems. 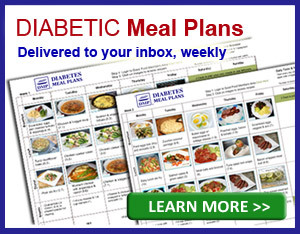 Which out of the two is better for lowering blood sugar? Some say Ceylon. Is this true? Another option I had in mind of doing is buying the cinnamon sticks and place a stick in boiling water and drink that at night, to help with sugar levels. Is this a better, organic way to go with? I also ready Honey helps with sugar levels do you recommend i add have a teaspoon of honey to the water? As for honey, no. Honey does not help blood sugar. It is sugar and more importantly fructose, which has a negative effect on glucose levels and the liver. If you make that cinnamon tea above, you will not need honey. It tastes so sweet on it’s own.